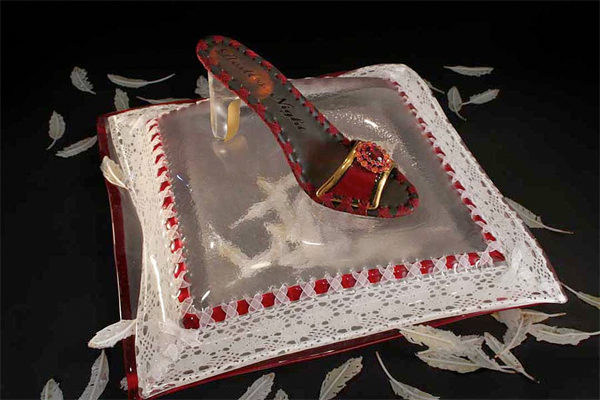 This Saturday, New York City’s Heller Gallery will host a reception to celebrate the glass slippers, lingerie, and dresses of artist Susan Taylor Glasgow, as part of the opening of her exhibition “Couture du Verre.” Works such as the contemporary strapless heel of Glasglow’s Restless Night (2012), a piece that rests on a pillow of glass framed in lace, might draw curious fashion world attendees in town for Mercedes-Benz Fashion Week. But here, the aesthetic is prioritized over the functional or purely decorative, and art collectors will likely outnumber the sparkling fashion demimonde who will be out in force during the late-afternoon opening. “Couture du Verre” is inspired by Glasgow’s experience in design and dressmaking, and her work will highlight the beauty of garment construction while it explores the nature of domesticity. 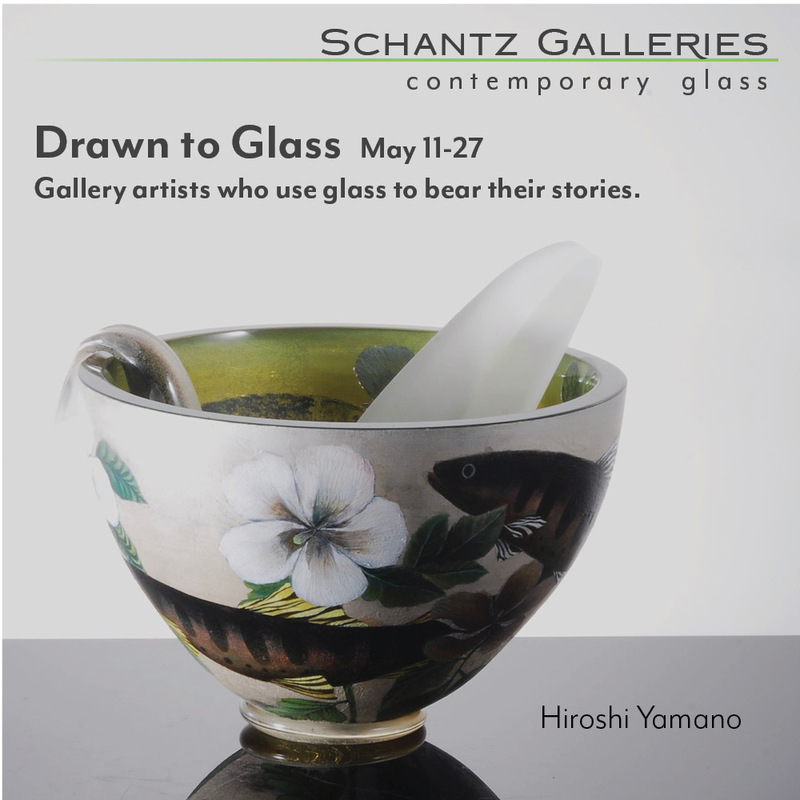 This new series sees Glasgow incorporating new concepts, such as flowing garments in glass, and a new focus on extending the narratives in the details of her work. 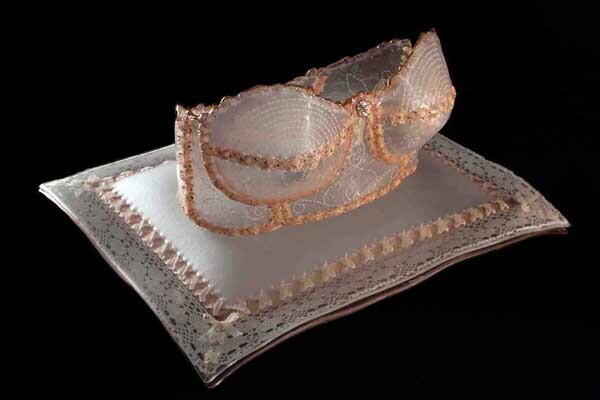 For example, Glasgow’s Royal Crown III (2012), a glass brassiere with lace made partly of steel wool, rests on a pillowed pedestal and embraces the contrast between the elegance of couture and the drudgery of domesticity in general and pot-scrubbing in particular. In the hierarchical fashion world, the high-couture clothing is usually created in small workshops, where talented workers are overseen by sometimes temperamental designers, beholden to nobody but the buyers and fashion editors who really rule the roost. 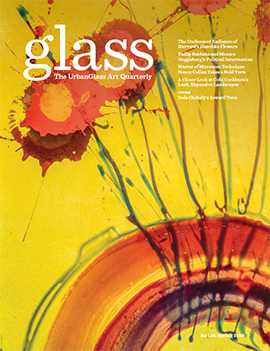 Unlike this highly structured ecosystem, Glasgow is solely in control of the work she makes, and she uses this independence to reference high fashion but also employ this metaphor as a way to exploring other aspects of feminine identity, but mixing in more prosaic elements that include common household goods. Upon closer inspection, viewers will see that the glass pieces are not made with the finest fabrics, but woven with Glasgow’s personal experience of, and expectations for fashion, and, ultimately, the explorations of gender roles that are central to her work.